News - St hildeburgh's parish church hoylake. 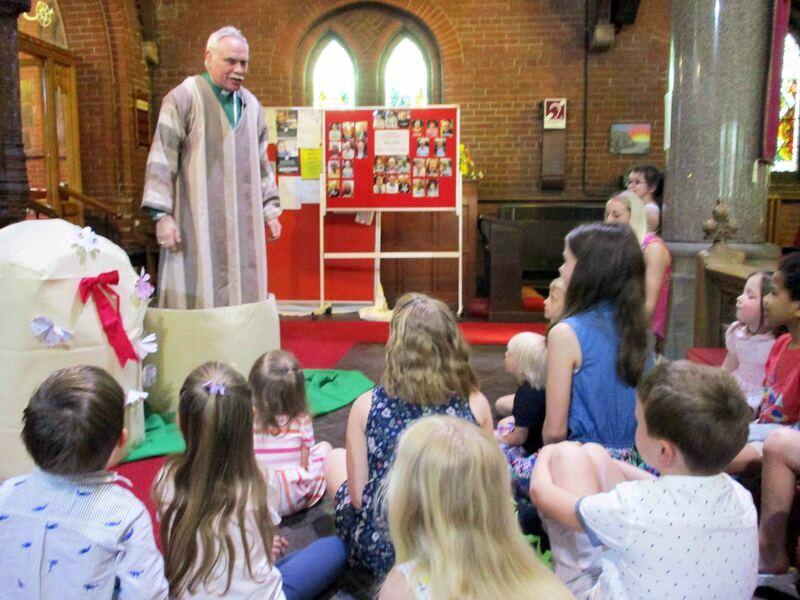 It was wonderful to celebrate the Easter ‘Good News’ of Jesus’s resurrection with a bumper congregation on Easter Day: We felt really blessed! 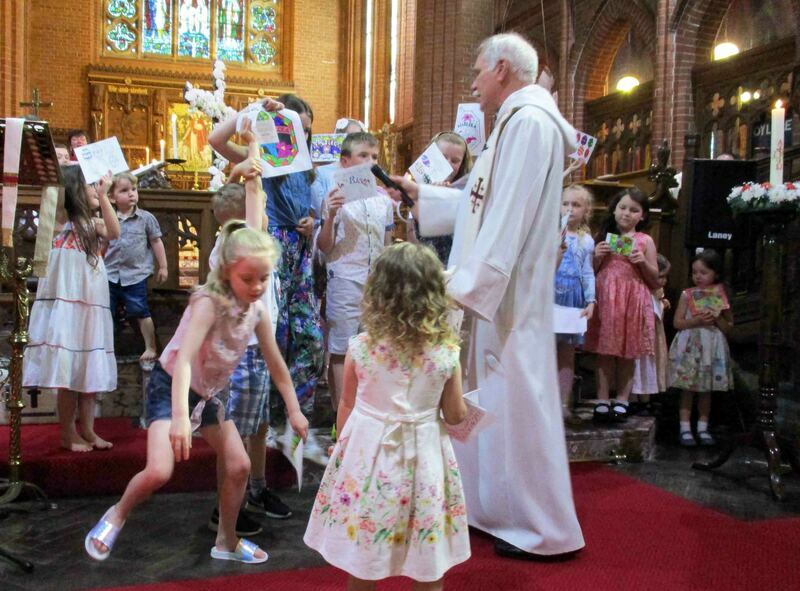 Besides raising the roof with enthusiastic singing of Easter hymns, our young folk had a busy and fun time at their activity tables, and during the service we all renewed our baptism vows (an Easter tradition) before taking our Easter Holy Communion. ​A big ‘Thank You’ from The Wirral Foodbank to our folk from St Hildeburgh’s! Our most recent delivery to the Foodbank amounted to just over 32kg of food. This will enable the Foodbank to continue to help people in crisis within the community. Your donations are really appreciated. THANKS! ​Last year we held our annual Lent Lunches here at St Hildeburgh’s, but this year we’ve been invited to join St John’s Meols to enjoy a time of quiet reflection and prayer in St John’s church at 11.30am followed by a simple meal of soup and bread their church centre. Each lunch is on a Friday beginning on 8 March, then 15 March, 22 March and 5 April. All are welcome. Our Lent Study Evenings this year will be based on the York course ‘Daring to see God Now’. The evenings will be spread over five weeks and will take place in the Lady Chapel of St Hildeburgh's Church on Tuesdays – 5 March, 12 March, 19 March, 26 March and 2 April - all starting at 7pm. Led by Rev’d Paul and our Ministry Team, these evenings give some time out to discuss and reflect in the quiet space of our Lady Chapel. If you haven’t been before please come along – everyone is welcome. Don’t miss our NEXT ‘Messy Church’ at St Hildeburgh’s! On Sunday 16th September 2018, St Hildeburgh’s hosted the annual Lifeboat Service for Hoylake and West Kirby Lifeboats. This service takes place at St Hildeburgh’s every September, and it is an opportunity for the local community to ask God’s blessing upon our lifeboat crews and their support staff. 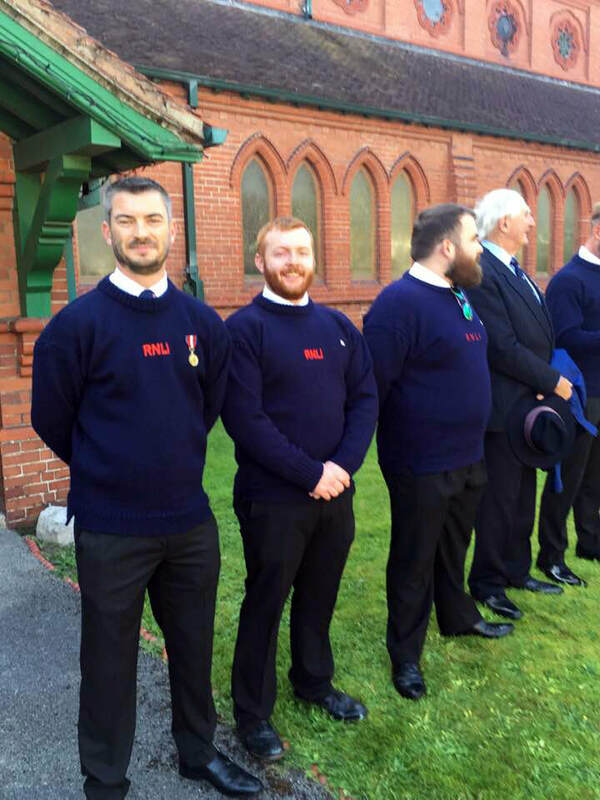 Following the service in church, the lifeboat personnel and the local community were welcomed to a “Hog Roast” in the gardens of Hoylake Vicarage. Our thanks to Rev Paul Rossiter (Vicar of Hoylake & Chaplain to Hoylake & West Kirby lifeboats) and Rev Gillian Rossiter (Vicar of St John’s Church, Meols) for their generous hospitality. It was great to welcome a good crowd of folk of ALL ages, as we met up in our church grounds for July's "Messy Church" at St Hildeburgh’s : Children, grannies, grandads, carers, parents, aunties, uncles … and even "BRONTE" the pony! It was wonderful to welcome a number of people joining us for the first time at St Hildeburgh’s: Welcome to Jesus’s family in Hoylake!! Following the activities in the church grounds, everyone went into the church itself for a short time of worship. We sang a couple of really lively songs, listened to a short thought-provoking talk, and ended with a prayer. After this, we all trooped back into the church grounds, where everyone joined in a picnic provided FREE to all, a time of fellowship, a good chat, and to make some new friends. 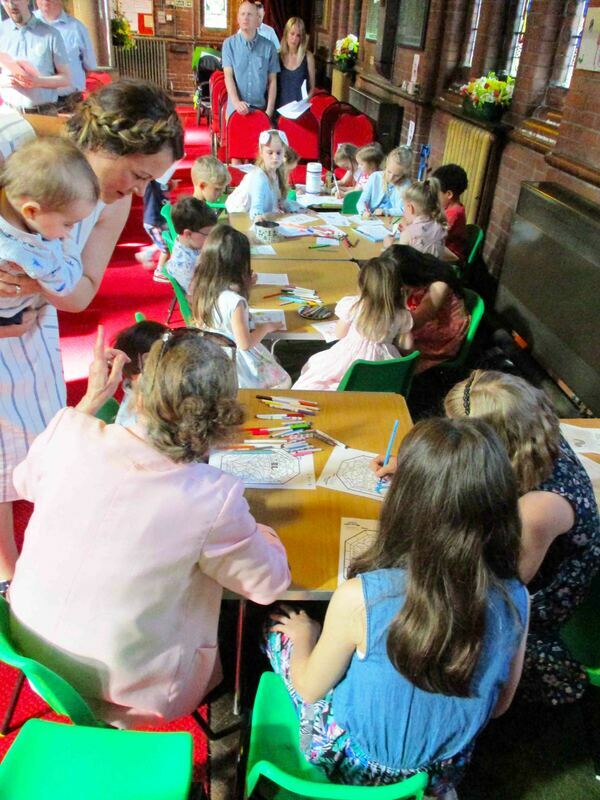 Our church youngsters had been busy at St Hildeburgh's during our 10.00am service on Sunday, 8th July (2018). At the end of our worship, they told our Vicar, Rev Paul and the whole congregation, what they had been doing. As well as having fun playing word search games, they had written a special prayer which they read to us. Rev Paul was delighted to be presented with a bag of lovely new potatoes grown by our youngsters! Well done! As part of St Hildeburgh’s mission to the wider community, our church has a number of charities and good causes it raises money for throughout the year. These good causes are local, national and international. St Hildeburgh’s supports (among others) the homeless in Wirral, our local church school (Hoylake Holy Trinity Primary School), Hoylake lifeboat, and those in desperate need in developing countries around the world. 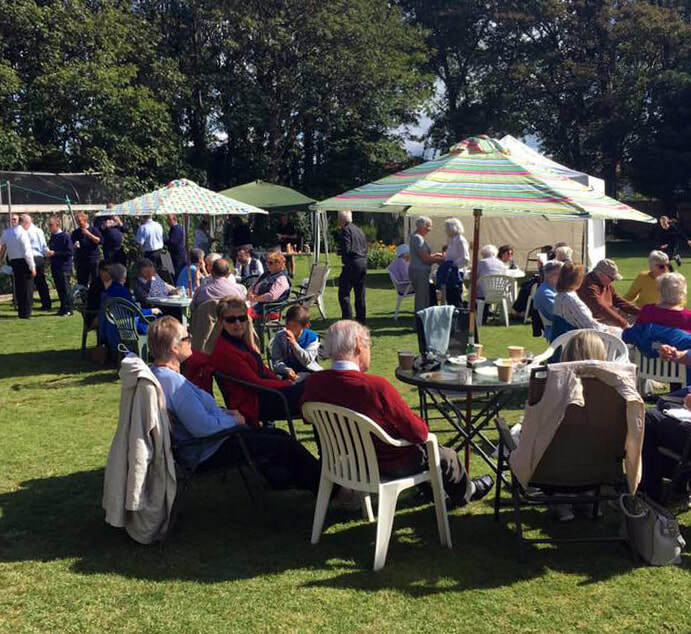 The funds for these good causes are raised by a range of activities, but one of the most enjoyable is surely our regular sale of homemade cakes. St Hildeburgh’s had a surprise visitor on Easter Day – the Church Mouse! The mouse told us that way back in history, his ancestors had lived in the tomb in Jerusalem where Jesus’s body was laid to rest after his crucifixion. He told us how his mousey ancestor witnessed all that went on two thousand years ago, and how Jesus was raised from the dead – bringing new life to ALL who seek to follow Christ’s life-giving teachings. It was great to have a full church with many young folk and their families and carers with us at the service. Many of the youngsters had brought the “Lent Mice” that they had made at our Lent “Messy Church” to meet their distant (and rather larger) mousey cousin! We had an exciting service of Family Praise on Palm Sunday (25 March 2018). 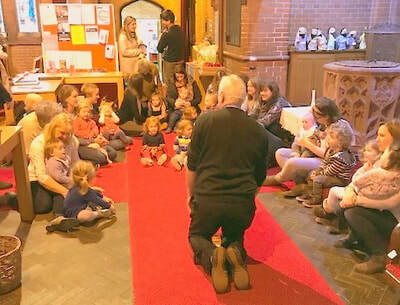 It was wonderful to have a full church with many families and lots of youngsters coming along. 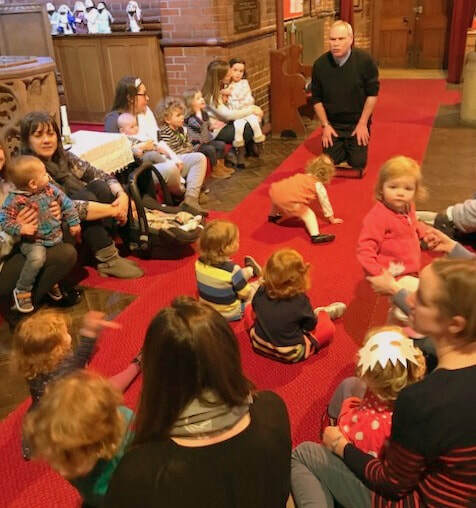 We sang lively worship songs, listened to Bible readings telling of Jesus’s entry into Jerusalem as the people waved palm branches to honour him, and Rev Paul (Vicar) went around the church with a microphone, so that our youngsters could tell us what they wanted everyone to pray about. Everyone was given a palm cross which we held up as Rev Paul said a blessing. The service was particularly special for two of those with us: Hannah, who was baptised during the service – many congratulations to her; and a certain four-legged friend who came into church playing the donkey Jesus rode into Jerusalem on. 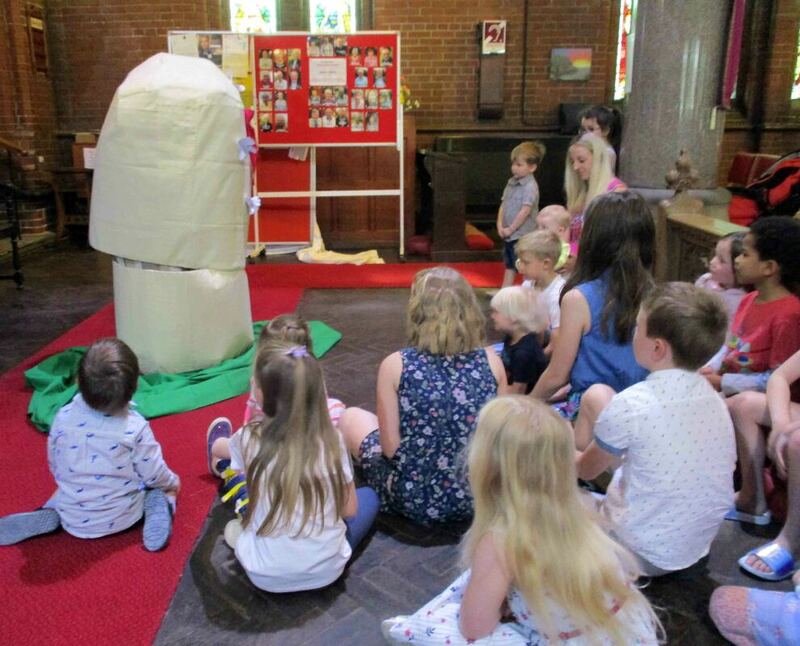 “Messy Church” … and the BEAN STALK! No, we’re not planning a pantomime at St Hildeburgh’s! 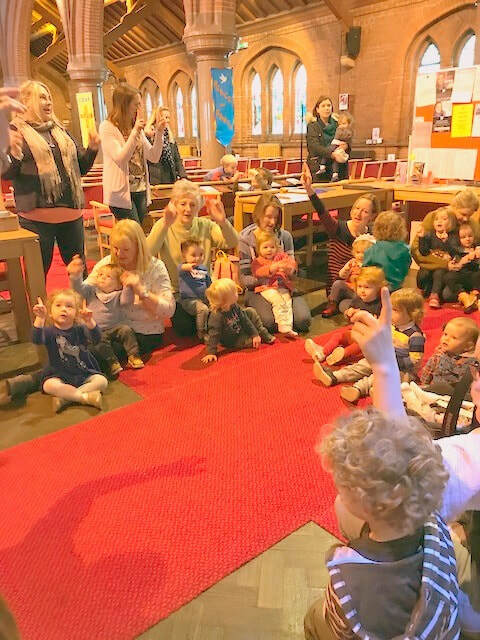 We were sent this photograph by one of our “Messy Church” families who came along to St Hildeburgh’s Messy Church last month (“Love Life! Live Lent”), February 2017. One of the activities that the children enjoyed doing on the day was planting bean seeds. As we planted them, we were thinking about the new life Jesus gives us, and growing up in Christ. Pictured, just a few weeks later is one of the planted seeds. After the recent snow and bitter cold, Hoylake folk needed warming up this week - and what better way than with a Bacon Butty! St Hildeburgh’s weekly “Bacon Butty Drop In” last Tuesday morning was bustling (6 March 2018). We all tucked into bacon butties (or toast) with a steaming cup of tea or coffee. With so many dropping in to enjoy something warming and a good chat, it got pretty busy and steaming in the kitchen too! Rev Paul, Vicar of Hoylake, dished up the bacon and our churchwardens, Jane and Nancy (along with our other regular helpers) got the toast ship shape. Why not come along next Tuesday? St Hildeburgh’s “Bacon Butty” morning is open to all from the local community. It takes place every Tuesday, between 10.30am and midday, in the Church Centre (behind the church on Stanley Road, Hoylake). There’s NO CHARGE (but any donations are welcome). Hot food, a cuppa and good company … what could be better! St Hildeburgh’s has a very popular and growing “Mums & Tots” group that gets together on Wednesday mornings during school term time. The group is for mums, dads, carers and their young children. ​Everyone gets together in our Church Centre (behind the church on Stanley Road, Hoylake) at 10.00am. In the centre there are lots of games, toys and exciting activities. Members of our Ministry Team are on hand to help out and refreshments are provided. We had an exciting and fun packed service of “Family Praise” on Sunday 28 January (2018) at St Hildeburgh's. It was wonderful to have so many children and their parents and carers with us - with many families connected with our church school of Hoylake Holy Trinity Primary at the service. The children from the school got everyone singing with a lively action-based song. Using different coloured liquids, Peter from our Ministry Team gave a talk that focussed on how all sorts of different people from different backgrounds can come together as one. This was the theme of our prayers also – in which everyone joined in together: Many voices making one voice. Oh, and of course, with it being our end of month service, the silly birthday hats made an appearance. Happy Birthday to Madison, Carron and Ray! Why not come along to our NEXT “Family Praise” service? 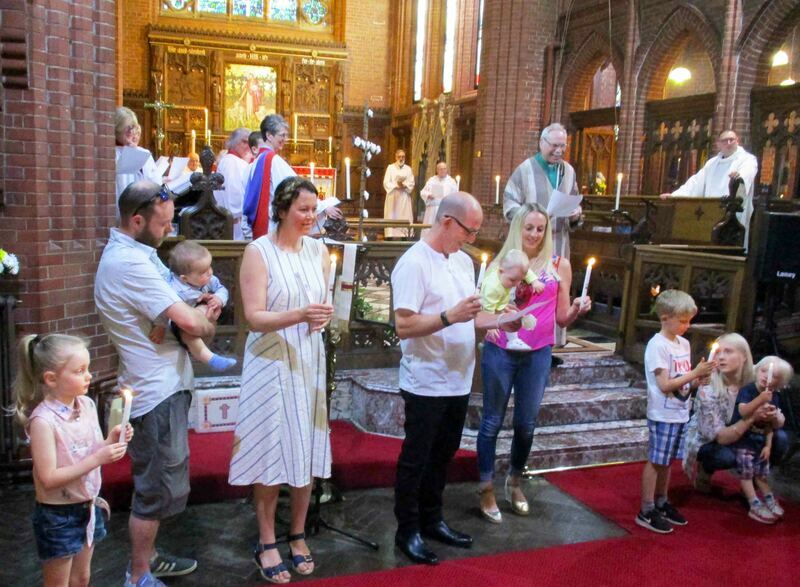 "Family Praise" takes place on the last Sunday in every month at 10.00am. 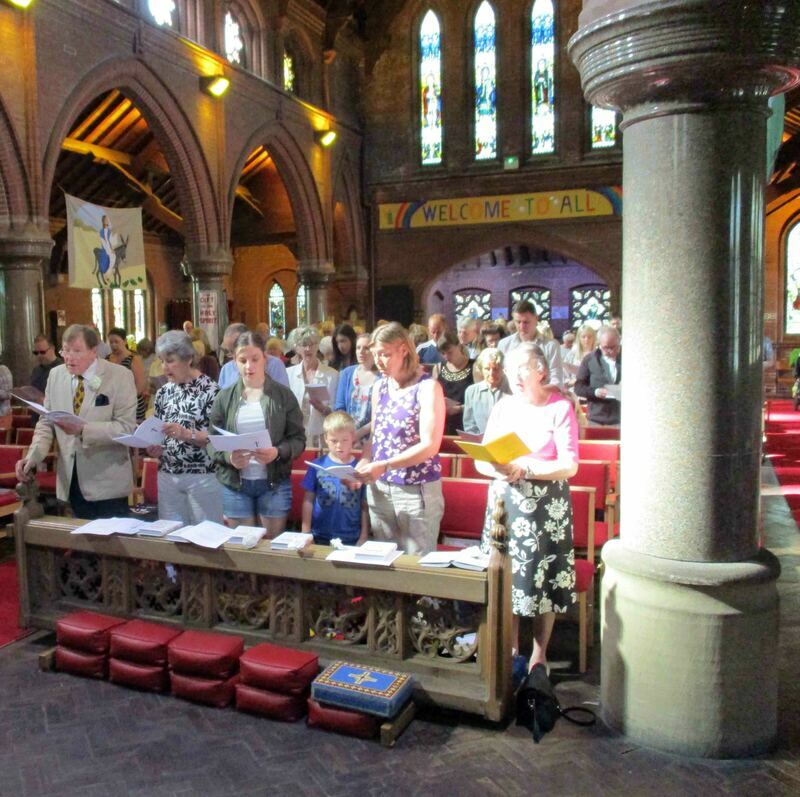 The services are a mix of lively worship songs, children’s activities, prayers, readings and fun. All are very welcome! Although it was our regular monthly meeting day at Clatterbridge Hospital's Meadowbank Assessment Unit, the Christmas and New Year activities had led to some "crossed wires" as to the new year’s dates! However, a quick rearrangement of the lounge seating and gathering of residents and our service in the Unit was able to begin! Rev. Paul (Vicar, St Hildeburgh's) opened the service with an inclusive prayer and Jill (St Hildeburgh's Pastoral Worker)then read the "Parable of the Leaven" (also known as the "Parable of the Yeast") from the Bible's Gospel of St Luke. In this parable, Jesus asks to what can He compare Heaven? It is like, He says, a woman who puts yeast into flour so it will rise. The point being that The Kingdom of God will increase and grow from small beginnings. Jill said a prayer and Rev. Paul moved among the group, kneeling and offering a personal blessing to each. Nancy (Churchwarden at St Hildeburgh's), was on hand to offer comfort to one lady overcome with emotion. Before we sang our final hymn, "He's got the Whole World in His Hands" restored cheer, and the service came to and end. We all had a FANTASTIC time at "Messy Church" at St Hildeburgh's on Saturday, 11 November 2017. We had worship, songs, craft, games and a hot meal for all. As it was Armistice Day, we reflected on the themes of remembrance, peace and hope. 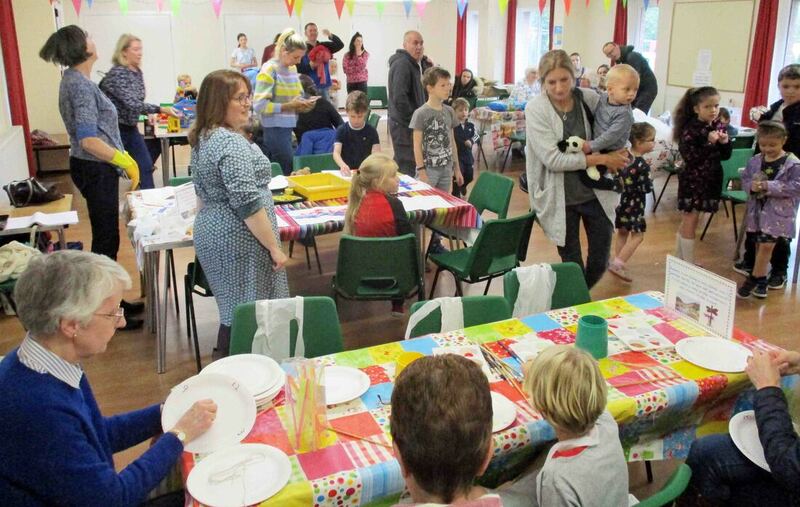 ​See you at our next "Messy Church"? ALL ages and ALL are welcome! During our 10 o'clock service of "All Age Communion & Blessing" at St Hildeburgh's Parish Church in Hoylake (8th October 2017), our young people had been busy in the kitchen. At the end of our service, they presented us with a tray of lovely biscuits which they had just made in the church kitchen. When quizzed by our vicar - Rev Paul - they had to admit that three eggs did get broken in the process! They also told us that they had been thinking about how, when we mix all sorts of different things together, we can make something wonderful ... just like delicious biscuits - or a loving community. St Hildeburgh's young people's group is called "Voyagers" and meets every Sunday in our Church Centre. They get together at 10.00am and enjoy themselves - while the rest of our church family are in the main church for our morning service. The "Voyagers" always come and tell us what they have been doing at the end of our service - and receive a special blessing. Newcomers are always welcome to come along to "Voyagers" and join in. All are welcome!